Getting to sit down and talk with any artists is always a pleasure. Getting to sit down and talk to an artist that you admire and you are a fan of is an honor. 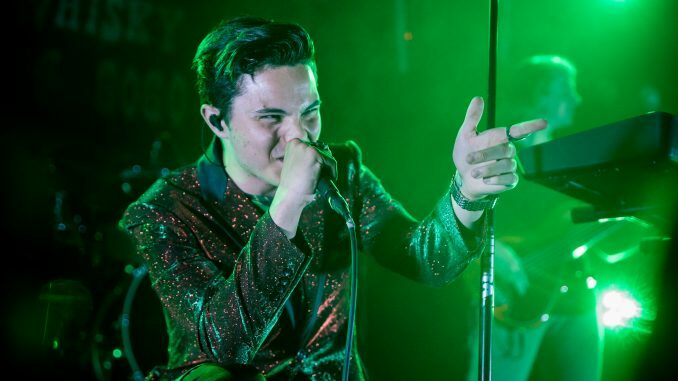 I had that honor to chat with Zach Callison when I went to cover his album release party at The Whisky A Go Go only two days after his debut album A Picture Perfect Hollywood Heartbreak had been released, review found HERE. Talking to Zach I got to meet the man behind the sound booth and learn more about him as a person. With his debut album only being out for two days at this point, we started out talking about how the fans have been receiving the album. 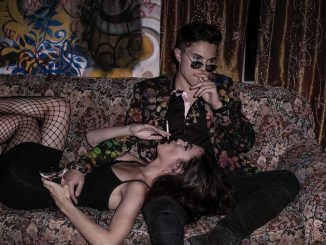 The album itself is a concept album presented in the form of a pop-rap-rock-musical, telling the story of a real love lost in Callison’s life. One thing about the album that has always left me with a question is how genuine are the lyrics and subject matter, as it does get quite dark when you really listen to the lyrics. With this being a concept album there are characters to follow throughout the story, and we talked a bit more about the relations of the characters as they pertain to the story. As well as what it was like working with Grace Rolek who is featured as Christie on the album. We talked about how he felt getting to headline his own show at such a historic venue that is the Whisky. 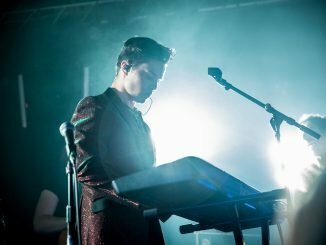 Callison is also a man who loves his fans, and loves embracing them, we did talk about how at his live shows he likes to interact with the fans in the crowd. After this show, Callison is leaving for a short tour with NateWantsToBattle. We talked about the differences between performing at conventions verse how life might be on the road for a musician and how he’s ready to cut his teeth the right way. We even got to field a guest question about how Callison handles the different worlds of being a musician and an actor. 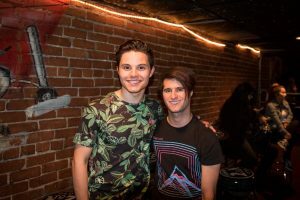 Shortly after the Interview Zach Callison went on stage and blew away every person who was in attendance that night. The passion that he puts into everything he does whether it be his voice acting, performing his music on stage, or just taking the time to meet and talk with each fan speaks volumes. Make sure to keep an eye out as Callison plans on touring even more next year, and if you have not listened to his debut album A Picture Perfect Hollywood Heartbreak, do yourself a favor and seek it out.